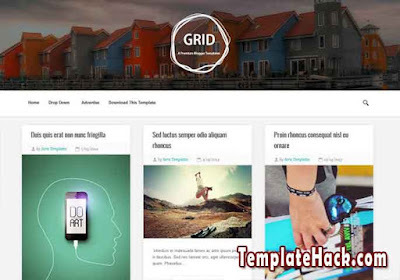 TemplateHack.com - Download Grid premium blogger template. 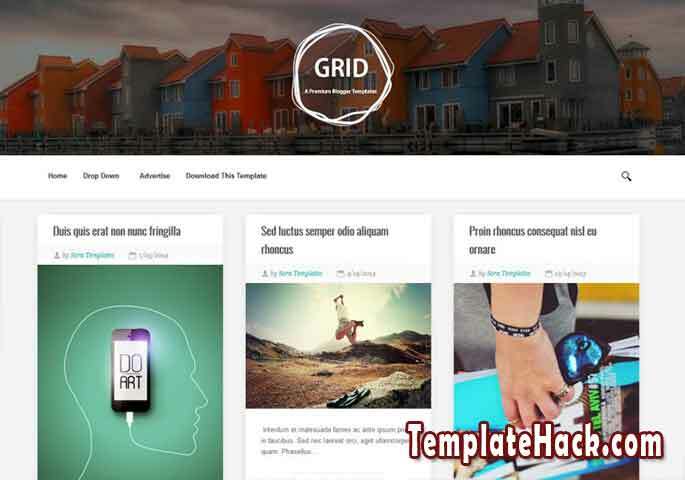 Grid is magazine blogger template with no sidebar design. This template just has a wallpaper on the top of page and 3 columns of content with big post thumbnails. Because it is has big post thumbnails, this template is recommended and suitable for photography blog, wallpaper blog and gallery blog. With clean design, Grid blogspot template can make your blog look more professional and elegantly. Ads Ready, Browser Compatibility, Drop Down Menu, HTML5 Valid, Mobile Friendly, Page Navigation Menu, Post Thumbnails, Responsive, SEO Friendly, Clean, Simple, No Sidebar, 1 Right Sidebar, blue, white, 3 Columns, No Column Footer. Gadget blogger template, Pinterest Look blogger template, Games blogger template, Gallery blogger template, Magazine blogger template, News blogger template, OOTD blogger template, Personal blogger template, Photo blogger template, Mansory blogger template, Photography blogger template, Portal blogger template, Reviews blogger template, Sports blogger template, Tech blogger template, Technology blogger template, Viral blogger template.